67 RS Aeros ventured north to visit the beautiful North Wales coast for their 4th RS Aero UK Nationals at South Caernarvonshire YC, Abersoch. The chaps was supported by Rooster with their fantastic array of prizes and RS Sailing with a fleet of 8 charter RS Aeros allowing opportunity to new sailors in the Class. The light wind forecast led to several sailors up-sizing their rigs providing a swelled RS Aero 9 fleet and reduced RS Aero 5 fleet. Over the 6 race series a light to medium breeze prevailed with great racing under the fantastic backdrop of the Welsh coast together with sightings of dolphins on the racecourse! Our new UK National Champions are Kate Sargent (Hill Head SC) in the RS Aero 5s, also top Lady. Sam Whalley (Swanage SC) defended his title in the RS Aero 7s against some strong new competition entering the Class. Steve Cockerill (Stokes Bay SC) added the RS Aero 9 title to his RS Aero 7 World title from 2017. The Youth (under 19) were prominent in the results with Roscoe Martin (Ogston SC) leading the way with a very creditable 2nd overall in the RS Aero 7s from Noah Rees (Torpoint Mosquito SC) in 4th. Will Caiger (Sevenoaks School) dropped to 7th after a protest. An international flavour was added by the Estonian team from Tallinn and 1st Lady in the RS Aero 7s went to Liina Kolk of Estonia, last year’s RS Aero 5 UK Champion. Chris Jones (Sutton Bingham SC) was 1st Master (over 55) in the RS Aero 7s in 10th. Top family (best 2) went to the Whaley brothers and top club (best 3) went to Lymington Town who fielded a team of 7 sailors. Will Caiger dominated Thurday’s Go-Karting Challenge! The Class benefitted from the input from National Judge David Battye, educating and policing the fleet on the propulsion Rule 42 over the Championship. South Caernarvonshire YC were excellent hosts throughout and the Class looks forward to returning. Many thanks to Rooster for the excellent prize hail and to RS Sailing and Selden for the beach drinks at the tally board! For 2019 the Class ventures further north again to East Lothian YC at North Berwick, Scotland which will provide another wonderful new location, joining the growing local and northern RS Aero fleets. The RS Aero World Championship is now looming, less than two months away at Weymouth, UK. 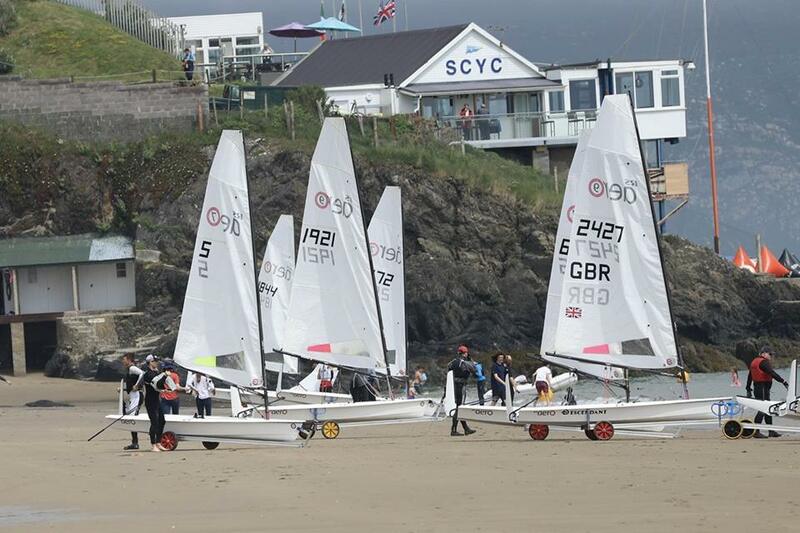 Now with a whopping 150 RS Aeros representing 12 countries already entered it is set to be a huge event, part of the overall RS Games at WPNSA through August. The early entry fee rate ends for paid entries by 30th June - get them in now!